Chinese civilian martial artists used a wide variety of weapons. Martial artists were often employed as guards or escorts, in which role they preferably neutralized an opponent without killing him. 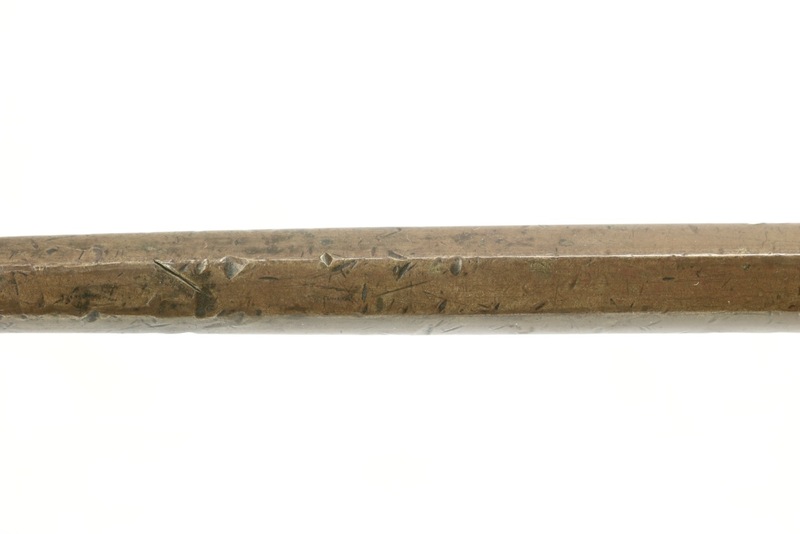 Blunt weapons are ideal for such purpose, and thus you find a wide variety of short, heavy maces in China. One such variety has a fork-like guard to help catch and retain an opponent's wrist or weapon, and was sometimes used in pairs. It was this variety that made it to Okinawa, and got known locally as sai (釵) by which name the weapon is mostly known today. That character is pronounced chāi in Chinese and means "hairpin" in China, so the Chinese name was probably different. Unfortunately its real Chinese name got lost in time. 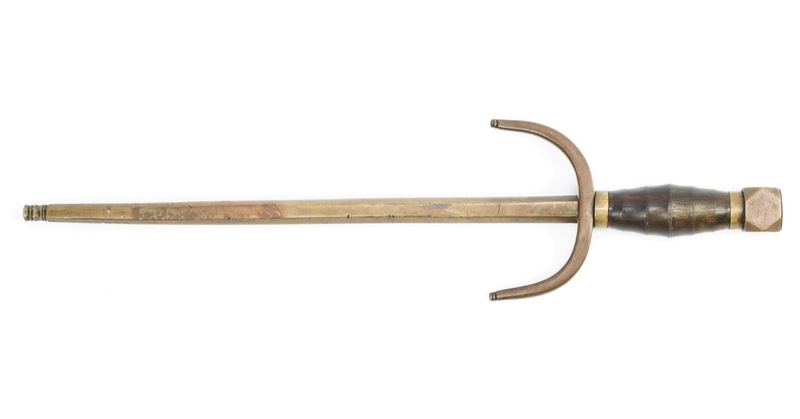 A Chinese forked mace weapon commonly known by its Japanese, name, sai . What is rare about this piece is that where most are made of iron and / or steel, this piece is entirely made of bronze. 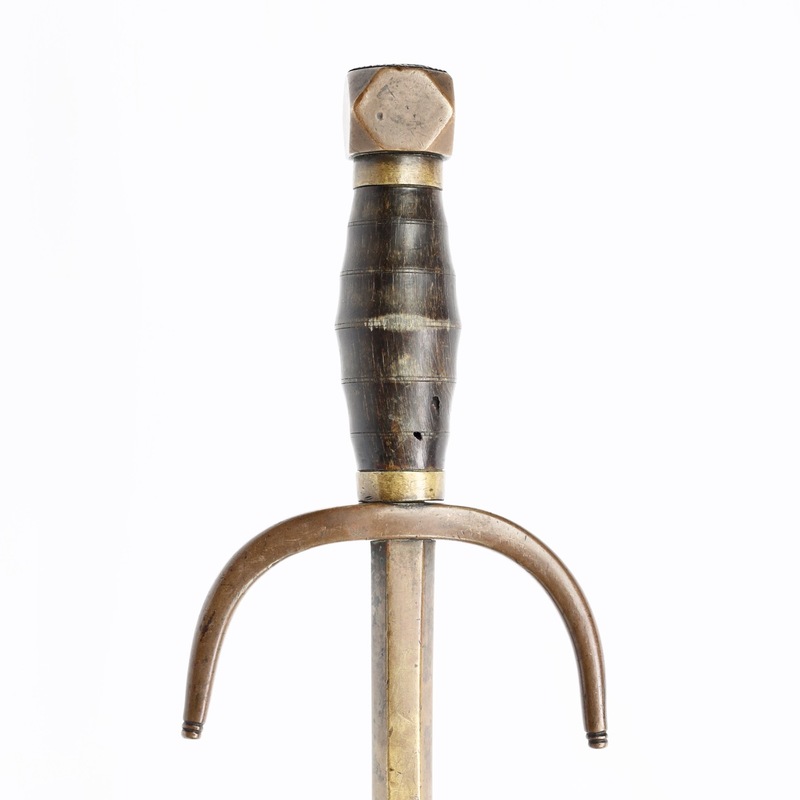 Chinese maces in bronze of any kind are incredibly rare and very much sought after by seasoned collectors of high-end Chinese arms. It's the only one of its type I've had in my hands, in well over a decade of specializing in Chinese arms. 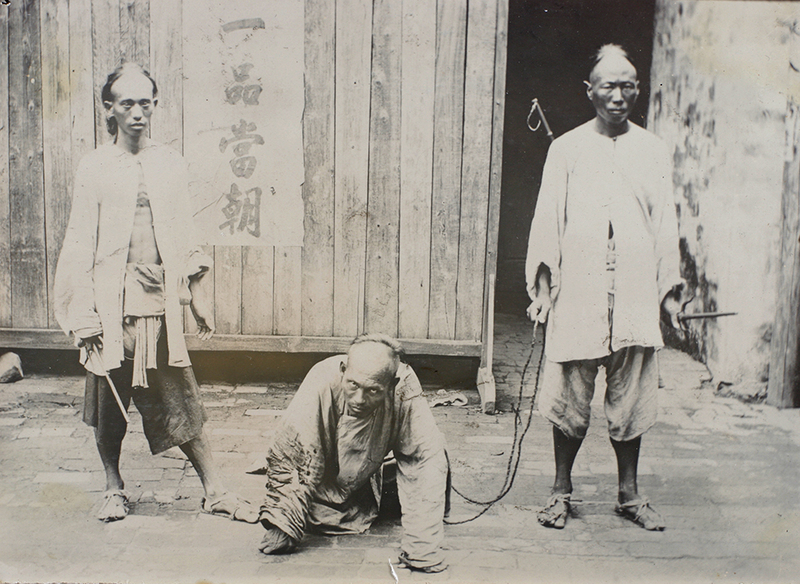 Photo with caption: "Min Ch'ing Ch'i and his guards, 1895" The man held is one of the alleged perpetrators of the Kucheng Massacre Photo from the Oswald collection. University of Bristol - Historical Photographs of China reference number: Os04-078. Notice the weapons of both guards. The reason for the use of bronze on what are always especially well-made examples, is unclear. Perhaps because it is more ductile than steel, so less likely to break on impact, or possibly because of its higher density so a small piece strikes harder than a steel example of the same size would. 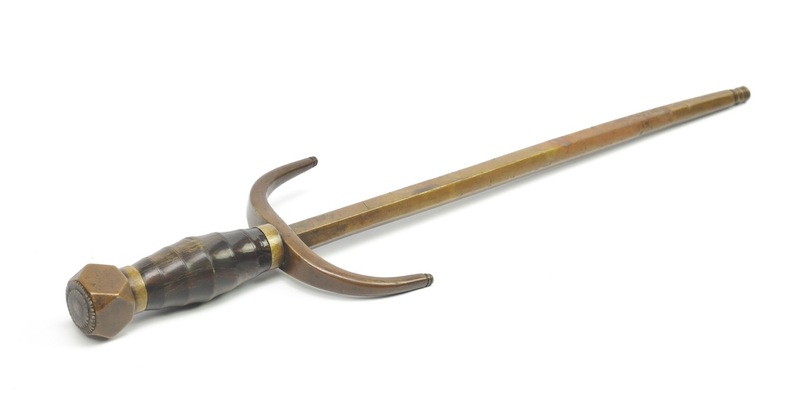 Our mace is built around a heavy bronze bar of hexagonal cross section. The ridges are well-defined. The tip is elegantly finished with grooves, which also serve to make it "bite" during a strike with the tip instead of sliding off. It has a thick massive fork with tapering ends that are also finished with grooves. 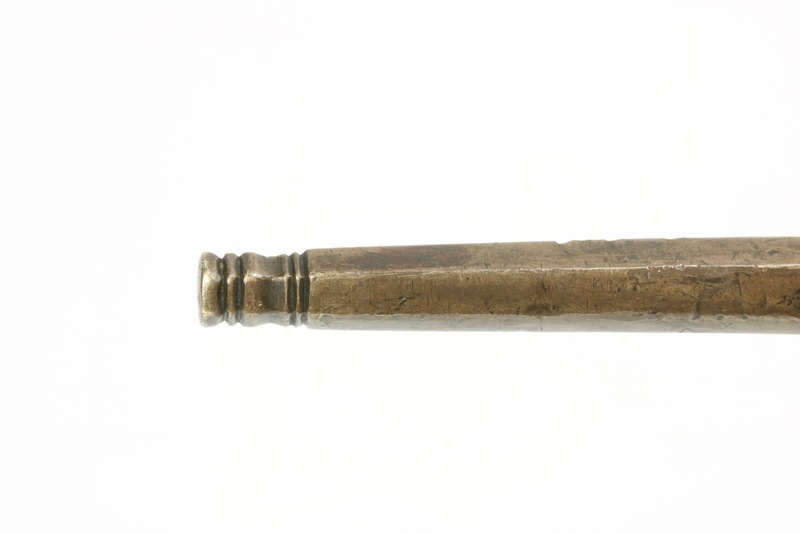 Between two brass ferrules sits a horn handle made from a single piece. It has a bulging shape like the handles on Chinese straightswords. It is beautifully carved in a bamboo-form with concave sections, separated by tiny grooves. Age gave it a nice deep luster. There is some tiny insect damage on one side of the horn handle. At the end is peened a heavy polygonal pommel that acts as a counterbalance as well as a striking weapon. The rod has many dents from impact with other weapons, and even what seems to be some sword cuts. Beautiful, undisturbed patina throughout. Some minor play in the upper ferrule and fork. 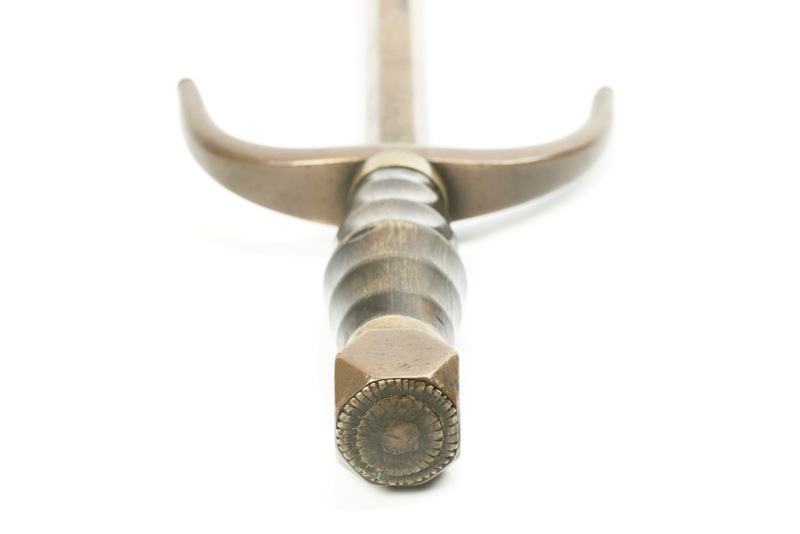 Handle and pommel are tight. 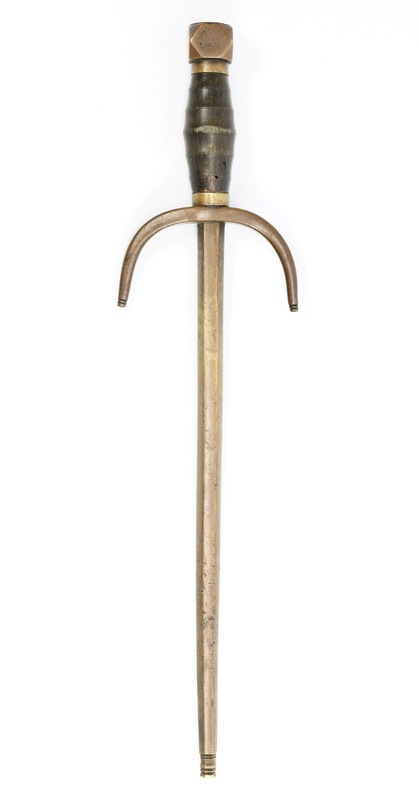 An extremely rare bronze variety of the Chinese mace of the forked type. It is of quality manufacture and retaining its nice old patina throughout. The rod bears signs of use, including sword cuts.